Edward J. 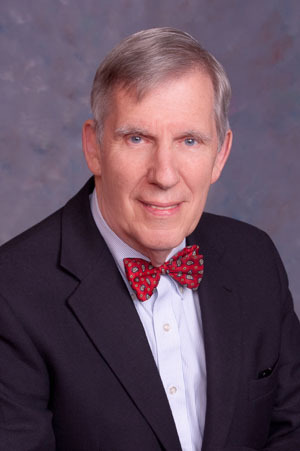 ("Ted") Kionka has been a lawyer since 1962, and his career has combined academic positions and the private practice of law. He began his consulting practice in 1969, which ever since has involved (1) appeals and (2) civil trial litigation with a heavy emphasis on the legal aspects of the case. The following pages of this web site give further details concerning his background, experience, and qualifications. Professor Kionka's career combines law school teaching, research and writing for publication, and appeals and trial consulting. Most of his cases are referred from other attorneys. In some cases he will work as a member of a trial or appellate team; in other cases, he will be asked to take full responsibility for an appeal, returning the case to the trial attorney or firm when the appeal is concluded. He has been sole or lead counsel on appeal in several hundred appeals. At the trial level, he has prepared pleadings, motions, responses, and legal memos, jury instructions, and post-verdict documents. He frequently appears before trial court judges to present these, and occasionally to conduct evidentiary hearings. In recent years, appellate practice has become recognized as a separate field of specialization. There are organizations of appellate lawyers at the national and state levels. Lawyers realize that there are special skills and talents involved in writing briefs other similar documents and in presenting persuasive written and oral arguments to trial and appellate court judges. In addition, lawyers who have substantial experience in appellate litigation are familiar with the appellate rules and techniques and bring their unique experience to the service of their clients. Appellate lawyers typically keep up with developments their field and attend conferences and seminars to enhance their appellate skills and knowledge. Most other lawyers, even litigators, handle very few appeals during their careers, and therefore increasingly look to appellate specialists to assist with important cases on appeal.